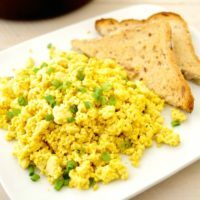 Simple Vegan Tofu Scramble - Where You Get Your Protein! 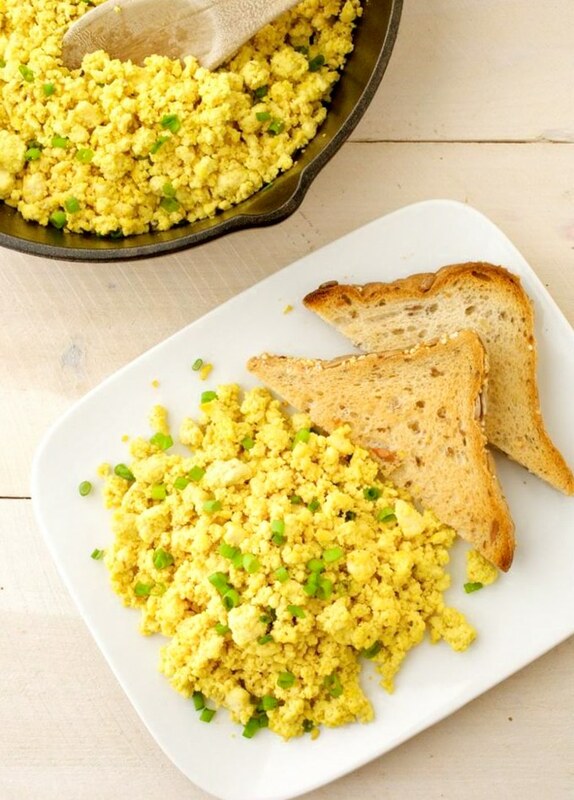 Simple vegan tofu scramble is an egg alternative packed with protein. It’s seasoned to perfection, only 6 ingredients, and great for breakfast or brunch. Enjoy it as-is or add any vegetable for a customized taste. The best part about this egg alternative is how quick and easy it comes together. It can be on the table in about 15 minutes! 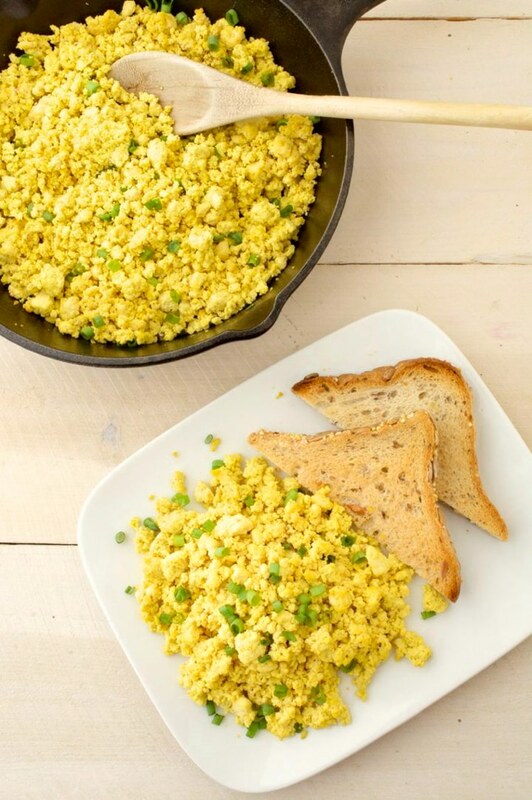 Tofu scramble is made with minimal ingredients keeping it simple and versatile. 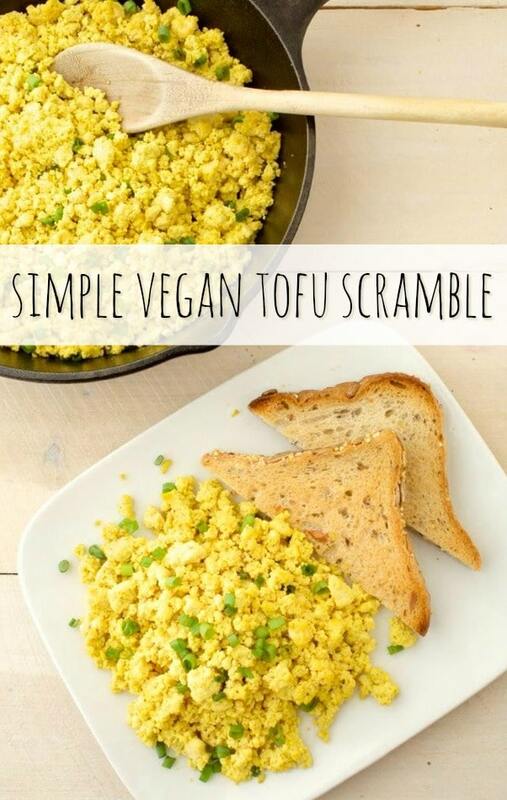 Simple vegan tofu scramble is an egg alternative packed with protein. It's only 6 ingredients, and great for breakfast or brunch. 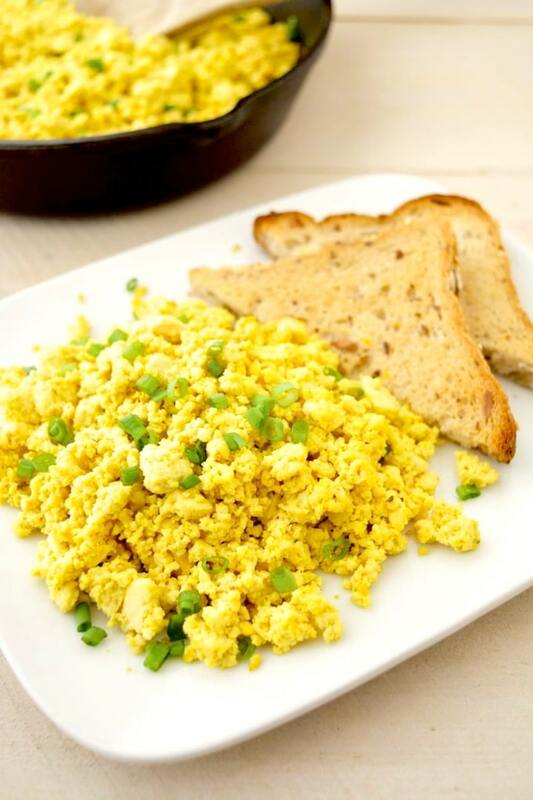 Enjoy tofu scramble as-is or add any vegetable for a customized taste. Press the tofu to drain out as much water as possible. Crumble the tofu using your hands or break it up in the saucepan with a wooden utensil. Stir in the seasonings and oil. Cook over medium heat for about 5-10 min. Keep in mind, the longer you cook the tofu the more it dries out. So if you like it drier aim for 10-15 minutes.